The Quantum installation, with sound, video, and refracted light that rakes across the walls, is bracing new direction, yet it fits neatly into the institution's strategic approach to telling the story of glass’s historical narrative. 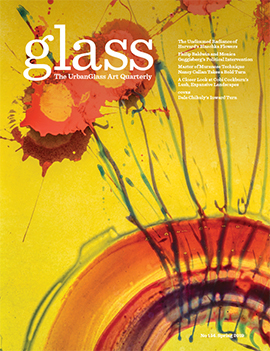 “What we’re really interested in doing is taking a visitor on a journey through the history of glass,” the Bergstrom-Mahler's executive director Jan Smith said in a telephone interview with GLASS Quarterly Hot Sheet. This installation, quite the opposite of object-focused as the rest of the museum is, is the next stop on this journey and is the only example of installation art in the museum’s collection. In a telephone interview with the Hot Sheet, Jon Clark, one of the collaborating artists on the project, said he hopes that the historic context will demonstrate the installation’s innovative qualities, and stretch visitors’ conceptions of what is possible in the medium. “Well it’s a gateway piece really . . . something that is extending the boundaries of what their expectations might be or what they might accept,” he said. This could be largely due to the sheer scale and atmosphere of the piece. 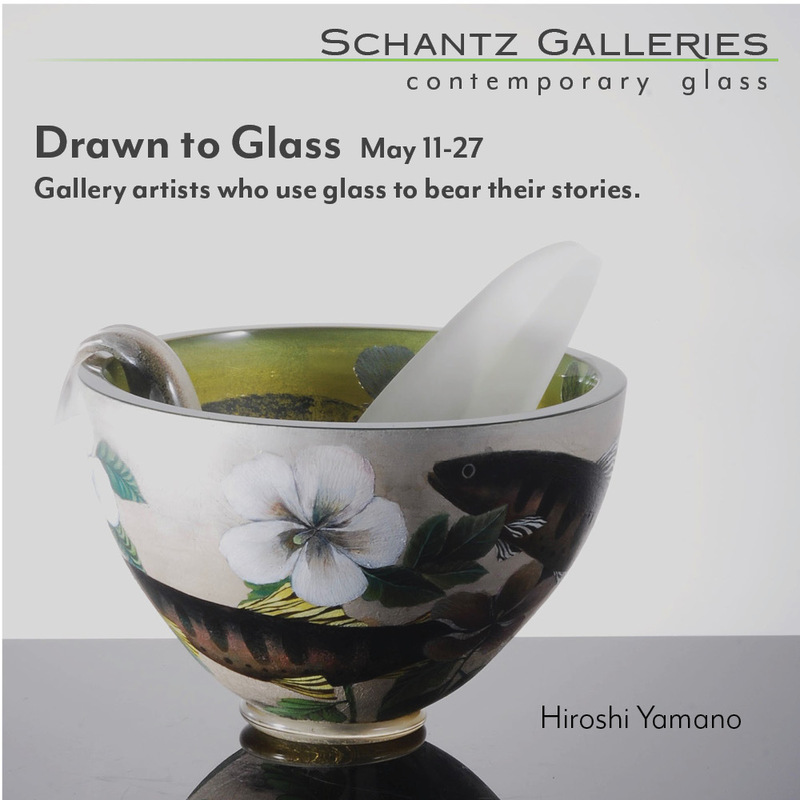 It utilizes the unique qualities that come along with the interaction of glass and light—namely, reflection and refraction—along with video and sound to immerse the viewer in a certain moment in time and space. “It’s normally bathed in light and it has all these expectations, all these innate qualities, and we’re still using those qualities, we’re just using them at a lower lumen. So you still get this brilliance, you still get this sparkle, you still get all these things but it takes patience,” collaborator Angus Powers said, also a part of the conference call. Unfortunately, these transformative moments cannot last forever. Just as the viewer must eventually break their trance and emerge from the installation room, the museum must eventually take the installation down and return it to storage (on August 20, to be exact). Since Quantum is too large to remain permanently on view at the relatively small Bergstrom-Mahler, both Smith and the artists have expressed an openness to lending the installation to other institutions temporarily, or even creating a smaller iteration of it for more frequent viewing. 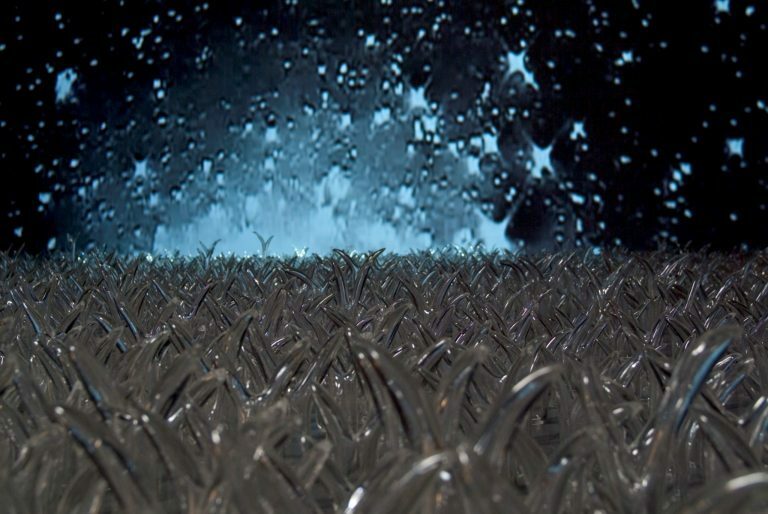 Still, long after it is bubble-wrapped and packed away, installations like Quantum will hold a permanent place in the continuum of glass history—one that is only worthy of being placed in the museums that showcase it.